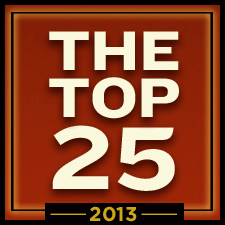 Cigar Aficianado's Top 25 of 2013 | Chicago's Pipe, Cigar & Tobacco Store | Iwan Ries & Co.
Every year, we cigar smokers havewaited to hear what cigars Cigar Aficianado has deemed "The Top 25." Below, you will find the ones we have available currently. Enjoy the best!